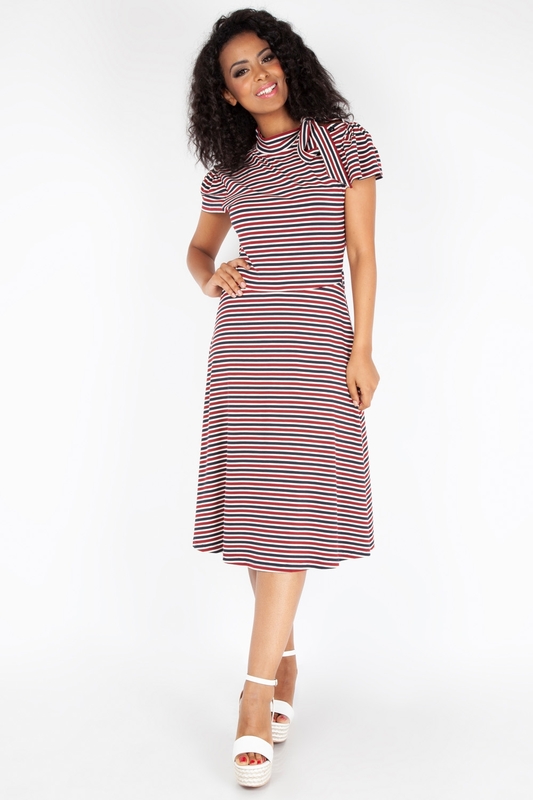 Anchor yourself to some ship-shape nautical style with our June Nautical Striped Dress! Classic red, white and blue stripes with a neck bow, this is really floating our boat! Love the look? Check out the Ellie Boatneck Knit Tie Top!